Becky Dewdney-York and Tom Leavesley, from Lime Culture, took the board through the current project plan evidenced the tasks, actions and budget are all on track. Tom stated that he would be attending a Lloyds Banks Foundation meeting at the end of the month, along with Chris Speed from Survivors Manchester as they are the grant holders, that will focus on evaluation of the projects. Tom then presented the initial findings from the male standards survey, much to the fascination of the board. 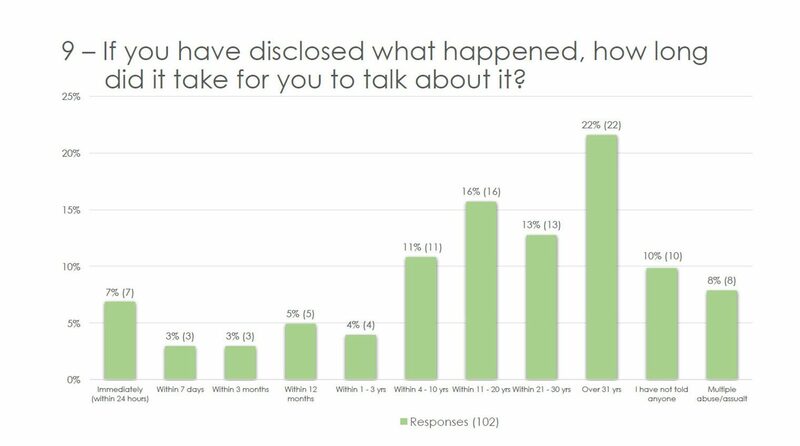 All agreed that whilst there was still work to do on the analysis of the data, the initial findings show an important picture of what male survivors in the UK are experiencing. The board moved then to discuss the draft standards, which provoked a lively and interesting debate. Duncan asked that the standards were sent in advance to some of our international colleagues as he will be asking them for feedback when he is in New Zealand, as part of the South-South Institute Conference. Following this discussion, ideas for the launch of the standards were presented and Lime Culture took away actions to discussion with key stakeholders. The meeting closed at 4pm and the next meeting was agreed to be arranged via email.